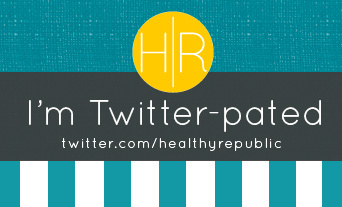 Why Choose Organic Baby Care Products? 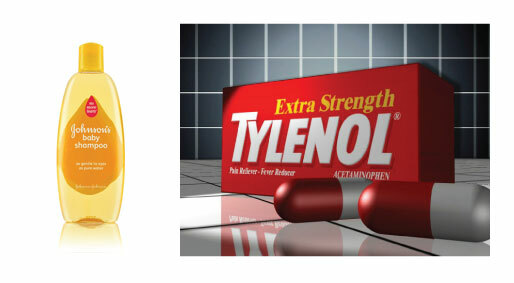 After Johnson & Johnson’s Tylenol recall earlier this year, and consumers complaining of a “musty or moldy odor,” while others suffered vomiting and diarrhea, I’ve been wary of any product that enters my house. Even those that tout “all-natural” can be hiding some really unnerving chemicals and preservatives. Methylene chloride, also called dichloromethane, is a volatile, colorless liquid with a chloroform-like odor. Methylene chloride is used in various industrial processes, in many different industries including paint stripping, pharmaceutical manufacturing, paint remover manufacturing, and metal cleaning and degreasing. The most common means of exposure to methylene chloride is inhalation and skin exposure. OSHA considers methylene chloride to be a potential occupational carcinogen. I wonder how it could be “tearless” when you’re adding a component that is used in paint stripping? Hmm, more insights for the cosmos I suppose. I’ve been intrigued by Dr. Bronner since I was a little girl, spending more than my fair share in the shower attempting to figure out exactly what this guy meant when he said “All-One-God-Faith” and things about “God’s Spaceship Earth.” It’s a real treat hear the comments that emerge from the loo when a guest has recently been mesmerized by the label’s flow of run-on sentences explaining The Moral ABC’s. Try watching the documentary—I can’t promise you’ll be able to decipher The Moral ABC’s any better than when you first began, but you’ll get to know Dr. Bronner and his mission to save the world one bottle at a time through the family tradition of soap-making. Dr. Bronner produces premium products that are made with 100% pure oils and extracts, and are a relief to any of you with allergies to detergents and perfumes or skin sensitivities. My favorite: the classic Peppermint. It leaves you tingly and refreshed. I don’t travel without totting along a mini-bottle. The big bottles can be refilled, which is a great eco-friendly feature. Check your local Co-op or Whole Foods to see if they refill Dr. Bronner products, or ask them to begin! A stall-worthy product to be sure, Dr. Bronner’s Baby Mild Liquid Soap is Certified Organic and Fair Trade. With such a product, you won’t have to worry about your precious baby growing a third ear—not that it’s a concern…or is it? Learn more about Dr. Bronner’s soap-making process here. 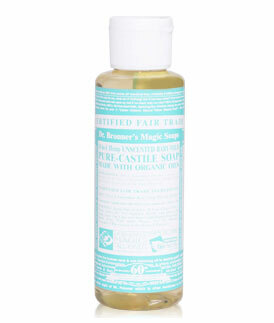 Have you tried Dr. Bronner’s Magic Soap products? What do you think? Next post: Freecycle: Don’t Throw It Away, Give It Away!